Our Commitment To Each Patient Begins With A Rigorous, Comprehensive Diagnostic Assessment Including An Evaluation Of The Patient’s Cognitive Functioning. We Passionately Believe That The Foundation For Every Patient’s Recovery Needs To Be A Highly Comprehensive, Individualized And Evidence Based Treatment Plan. Through a holistic approach we treat the whole person, mind, body and spirit. Too often, people believe an addiction or mental illness to be the end of life as one knows it. Not only is treatment available for addiction, but those who struggle with addiction can go on to lead successful lives after rehabilitation. 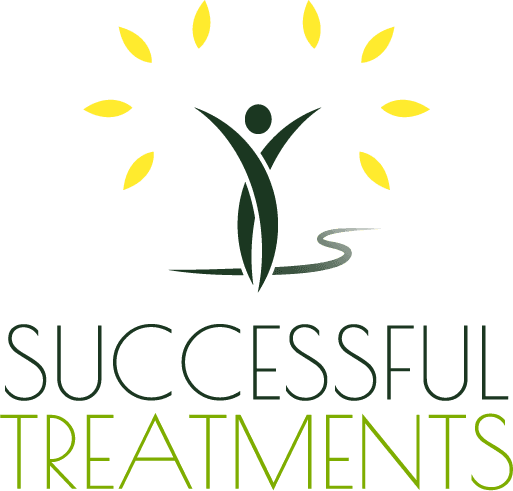 Successful Treatments Group is a treatment provider with rehabilitation centers dedicated to aiding an individual in treating their addiction as well as any other co-occurring conditions. The treatment program at Successful Treatments is tailored to the individual, dealing with more than an illness. During assessment, our staff of professionals will screen for any co-occurring mental illnesses or behavioral problems with the addiction to avoid relapse. Through a mix of holistic, evidence based practices, individual and group therapy sessions; patients are able to begin the path toward recovery in a supportive atmosphere. Once the patient has graduated from treatment, he or she can still remain involved through our alumni program and continue to build a network of support. Successful Treatments strives to be mindful of the treatments that we bring forward. We bring a strategy of collaborating with thought leaders to bring the most progressive treatments to our client, while remaining a supportive force for their long-term success. Our thought strategy is to break the chains of chemical self-medication through a holistic approach by strengthening their mind, body, and soul. Successful Treatments will bring quality high-end services to the masses, breaking the ceiling where it was once only available to the rich. We aim to change the culture with a compassionate presence. Evidence now shows that addiction to alcohol or drugs is a chronic, but treatable brain disorder that requires medical intervention, and has the potential for both recurrence and recovery. The integrated treatment services at Successful Treatments, is tailored to the individual treatment of the illness. Through a mix of holistic, evidence based practices, individual and group therapy sessions; patients are able to begin the path toward recovery in a supportive atmosphere. We understand that science and medicine is always evolving and we strive to be at the forefront of innovative evidence based methods that are essential to the success of our clients. One of our goals is to integrate behavioral interventions with advancements in medicine to promote long-term recovery for our clients. One of the main components of the organization’s work and focus is its innovative methods developed through education and research. Effective treatment can manage the symptoms of substance use disorders and prevent relapse. There are many pathways to recovery and we believe that recovery is a progression of change through which individuals improve their health and wellness, live a self-directed life, and strive to reach their full potential with treatment that is aligned to their unique individual needs.